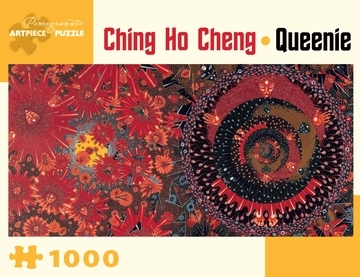 Ching Ho Cheng started painting at the age of six. Born in Cuba in 1946, the son of a Chinese diplomat, Cheng and his family settled in New York, where he lived in the Chelsea Hotel during the 1970s and ’80s until his death. 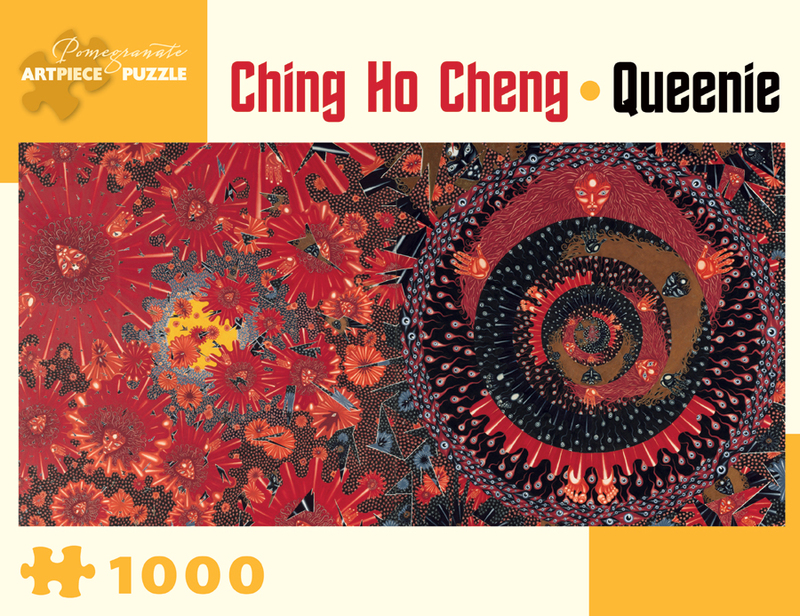 Queenie is one of Cheng’s early psychedelic works, full of energy and movement. A Medusa with red hair draws the eyes into the center of the triptych, and the Medusa, which is repeated throughout the painting, transforms into a fox. Cheng’s work can be found in several museums in the United States.